Complete machine has TWO years warranty. 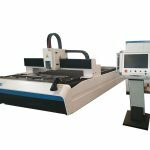 FIVE years warranty separately for machine table. 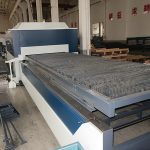 Our machine table can secure you trouble-free at least 10 years! 1. Gantry dual drive, adopting advanced gear rack transmission structure. Equipped with grinding gear and rack, and through the precision collimator one time metering assembly. 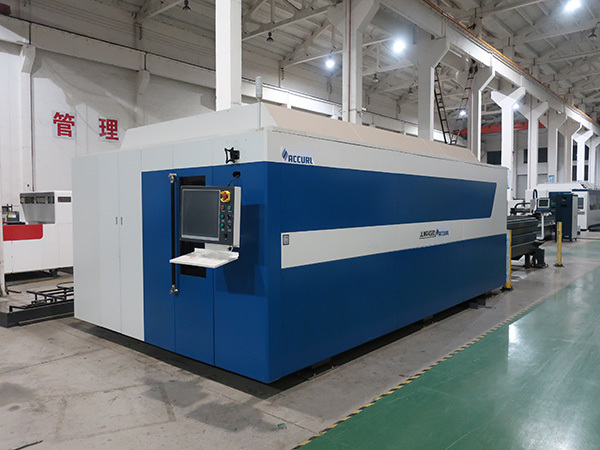 The machine will secure long-term high cutting speed, high precision transmission. 2. 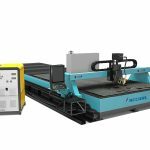 The machine table machined by large planomiller, with high temperature annealing twice, and high strength complete welding, customer will have long-term payback. 3. 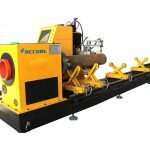 Beam structure adopts the modular design, with aviation aluminum control processing, effectively controlled the weight of beam. 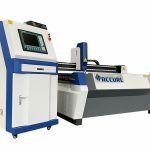 This structure design greatly improves the high speed response, and precision of cutting. 1. Support different images format as Al, DXF, PLT, Gerber, can read standard ISO G codes from MaterCam, Type3 such nesting software. 2. Automatically optimization when open or lead in DXF file, like delete repeated line, merge connected lines, recognize in/out cutting file and file sorting out.User can decide to manually do above work, or let controller do it automatically. 5. Unique function of Preview of cutting work flow. 6. 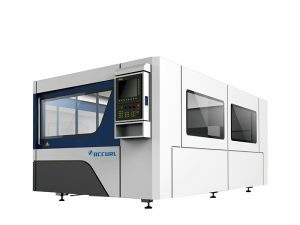 Support segmental pierce, Progressive pierce, Pre-pierce, support separately setting laser watt, frequency, laser type, air type, pressure, auto cutting height during pierce and cutting. 7. Support to set separate lead in/out speed according to adjustment of laser power. 8. Big storage, allowing user to save all cutting parameters to use it again on same material. 9. 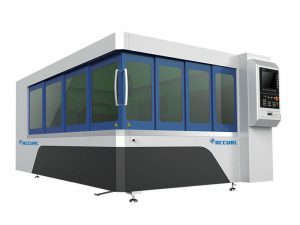 Breakpoint recovery, CNC can return to the point where the cutting stopped, allowing partial file cutting. It can go to any point to start there after stop or pause. 10. 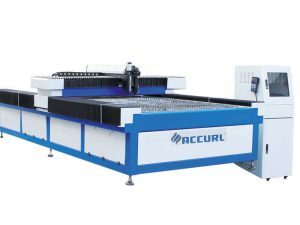 Same software can support round tube cutting and plate cutting, programming is same, and support intersect cutting. 11. Support to cut at set height, automatically seek edge, and start from outside of workpiece, or lift up when torch is out of workpiece. 12. Powerful expanding capability, over 15 PLC process programming, over 30 programmable processes. We can choose brand laser head origins from USA, Germany. 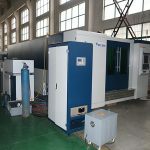 It depends on customer’s request, or we would suggest according to the laser power you choose. Surely laser head is standard supplied with closed-loop control Auto focus system. 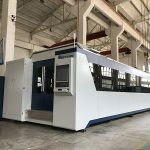 Same as most manufacturers, we use Panasonic/Yaskawa servo and Shimpo gearbox, but how to fix it on machine and commission it makes big difference. It matters to machine’s fast move precision, and long-term work stability. You may see most China manufacturers use same controller, servo, rail guide..etc. but machine quality is much different. Machine building is a design work, not just assembly. 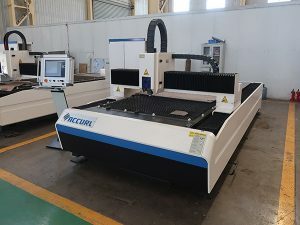 China has mature 500W/800W laser power as Raycus such brand. But 500--1000W's first option is IPG. SPI has better price and service after sales than IPG on 1000W level. Laser power supplier's fast service after sales is very important in this field. If you had such experience before, you would 100% agree with that. 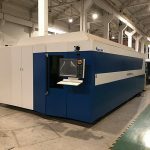 Over 2000W, we only choose Trumpf's disk laser. with higher price than IPG, but it is mature to cut reflective material like Aluminum, Copper....For a high cost machine, we hope to offer more functions to customer. 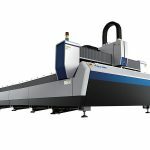 Currently no one can do it better than Trumpf laser. It can hardly see a machine is good or not by a few documents or video demo, we suggest customer come for a visit before make final decision. And you may choose 2 or 3 target factories to visit, then you can see which is best option for you. Let the real machine tell the truth! 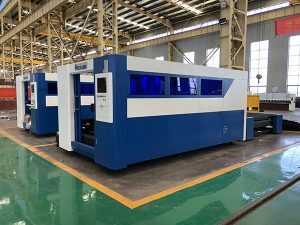 According to customer’s application, we may revise our machine accordingly for customer’s convenience and high production efficiency. A. 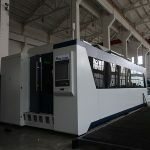 Machine will be supplied with training video and user's manual in English for installation, operation, maintenance and trouble-shooting, and shall give technical guide by e-mail, fax, telephone, skype…. for fast solution. We may offer technician for onsite service, customer shall cover visa, ticket, local living cost. B. Customer may come to our factory for training. We will offer training of installation, operation, machine trouble-shooting, and maintenance.